The Foster Family have farmed at Burley Meadows Farm since 1965. Burley Meadows forms part of the Kedleston Estate. 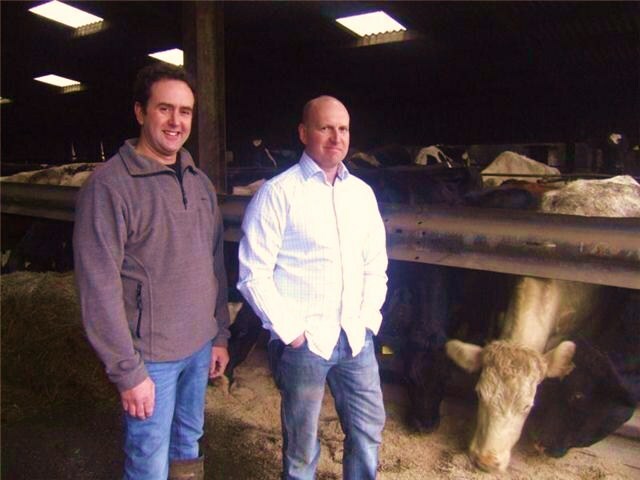 Brothers Tom and John are now at the helm of the business and with a combined farming experience of over 55 years they are proud of their traditional farming methods. The land is not farmed intensively and the herd is nearly all homebred and fed mainly on produce grown at the farm. Tom is in charge of milk production. The herd consists mainly of Fresian cows but Tom has also introduced Shorthorn and Jersey breeds. The farm has recently installed a new milking parlour and pasteurising and bottling plant. John is responsible for the processing, sales and delivery - and enjoying his early mornings!